Increasingly, advanced attacks are evading traditional endpoint tools, and only Morphisec’s Moving Target Defense is addressing this broad security gap with a revolutionary approach to defending against unknown attacks. Morphisec, the leader in Moving Target Defense, today announced that Andrew Homer joined the company as Vice President of Business Development. The appointment comes during a period of significant momentum for Morphisec, including the deployment of its Endpoint Threat Prevention platform on more than two million endpoints, as well as an expanding global technical and partner ecosystem that includes agreements with the U.S. Department of Homeland Security, RSA Security, and SECOM Singapore. Prior to joining Morphisec, Homer was Director of Business Development and Technology Alliances at RSA, where he led the company’s technology ecosystem, strategic alliances and embedded OEM partnerships. 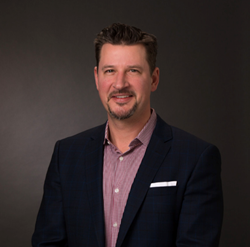 Over the past two decades, Homer has gained a wealth of both corporate and high-growth experience, having held business development positions at Dell, EMC and VMware. Andrew attended the University of Massachusetts, Amherst for his undergraduate degree and obtained his MBA from Babson College. “It’s exciting to be joining Morphisec at such an important inflection point for the company,” added Homer. “Increasingly, advanced attacks are evading traditional endpoint tools, and only Morphisec’s Moving Target Defense is addressing this broad security gap with a revolutionary approach to defending against unknown attacks." Morphisec offers an entirely new level of innovation to customers in its Endpoint Threat Prevention platform, delivering protection against the most advanced cyber attacks. The company’s patented Moving Target Defense technology prevents threats others can’t, including APTs, zero-days, ransomware, evasive fileless attacks and web-borne exploits. Morphisec provides a crucial, small-footprint memory-defense layer that easily deploys into a company’s existing security infrastructure to form a simple, highly effective, cost-efficient prevention stack that is truly disruptive to today’s existing cybersecurity model.